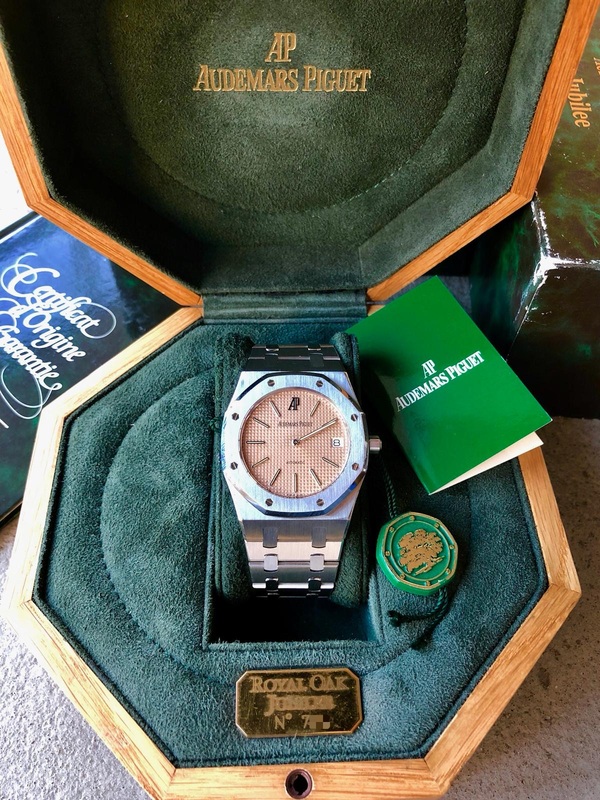 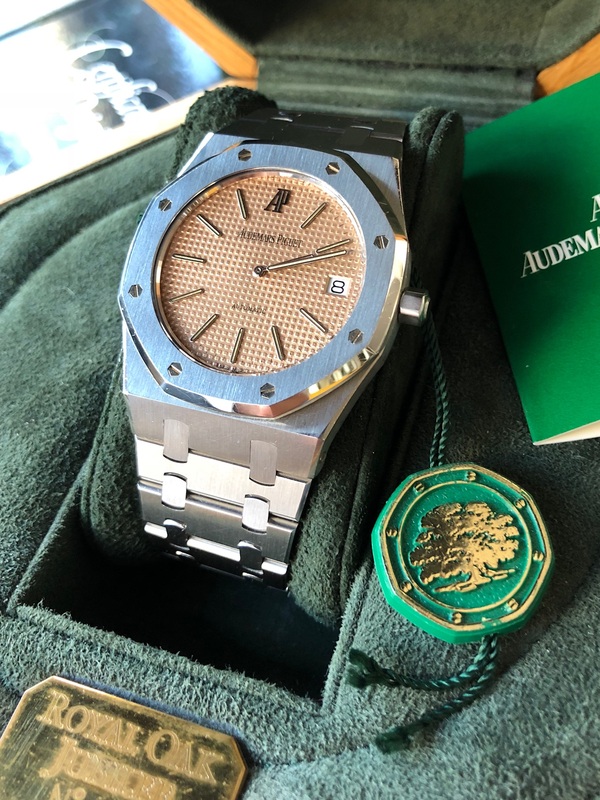 Celebrating the 20th anniversary of the Royal Oak 5402st 1000 ex of this watch were produced using the famous caliber 2121 and a 39mm case just like the DNA of its elder model. 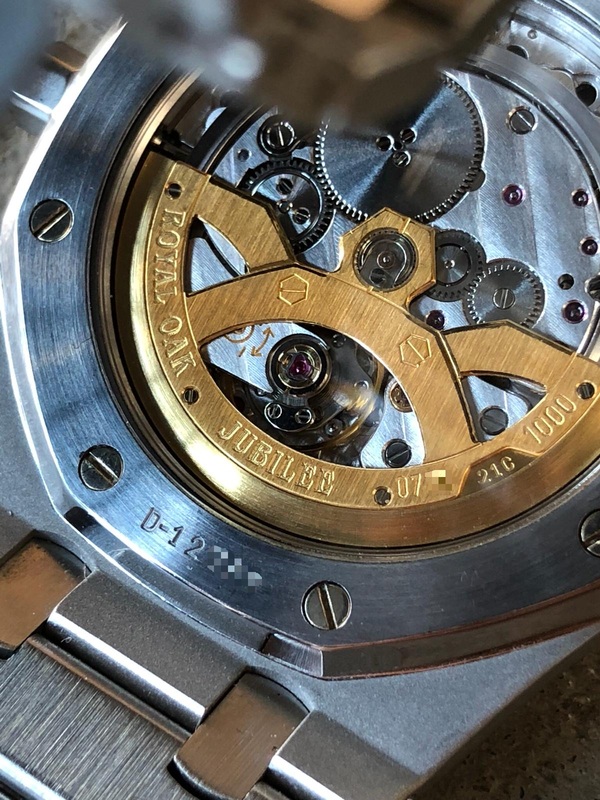 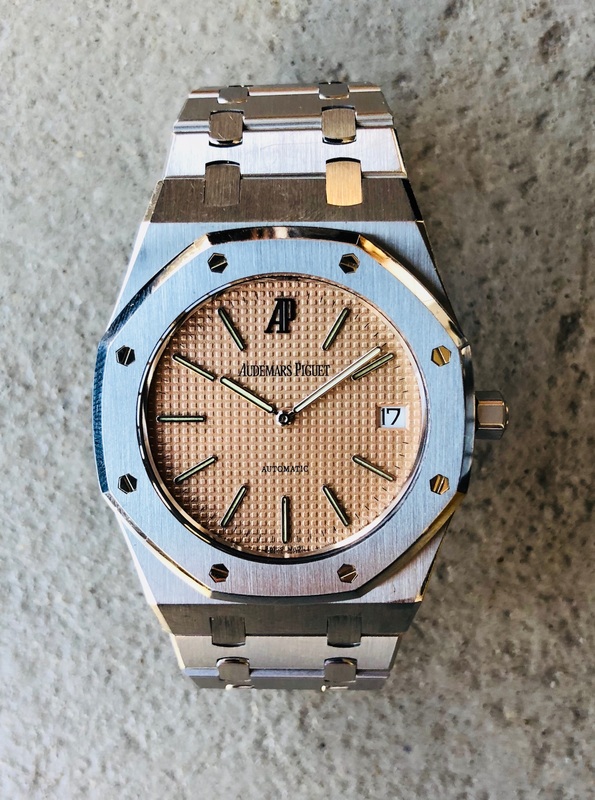 It is estimated they were spreaded in 700 stainless steel (200 salmon, 500 smoked blue dials), 280 yellow gold white dial, 20 platinum (12 white, 8 blue stone dial). 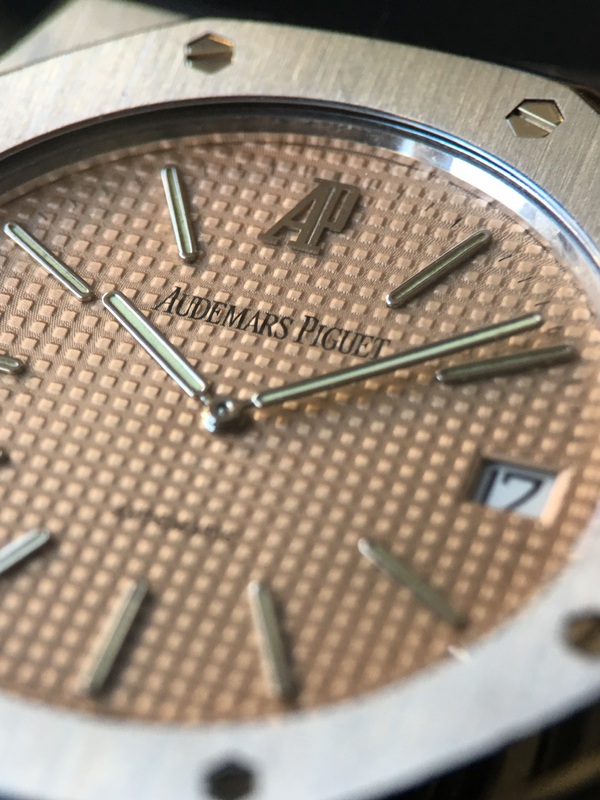 Dial: the most sought after salmon dial in pristine condition. 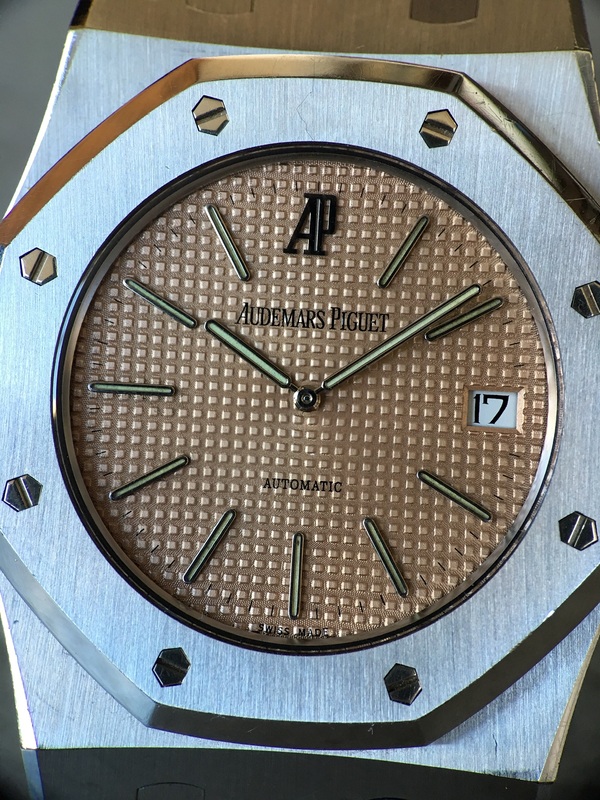 Original hands and index with perfect tritium glowing/vanishing under UV light. 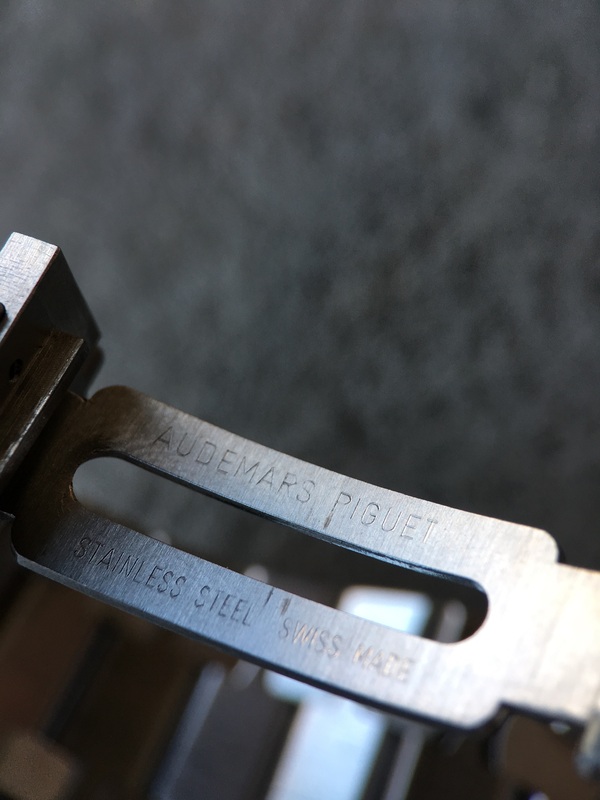 Lettering are larger than 1st generation matching those used for ref. 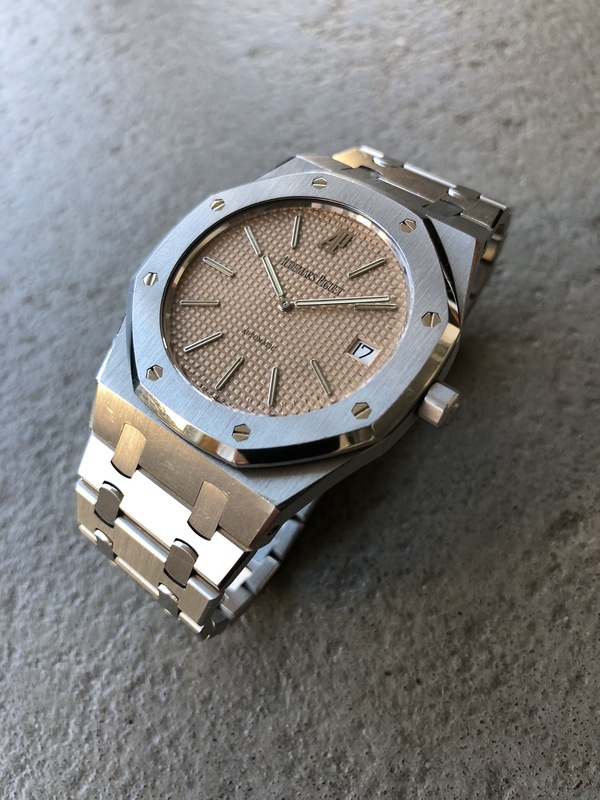 15002st. 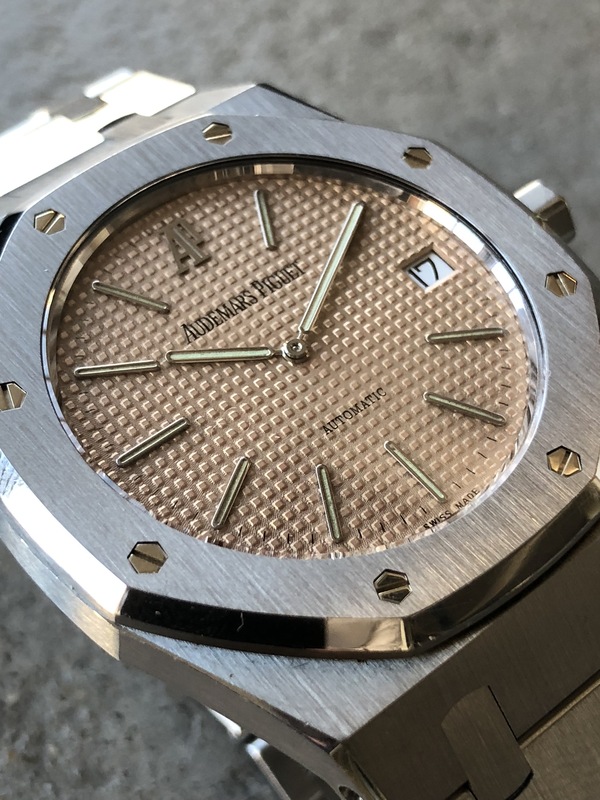 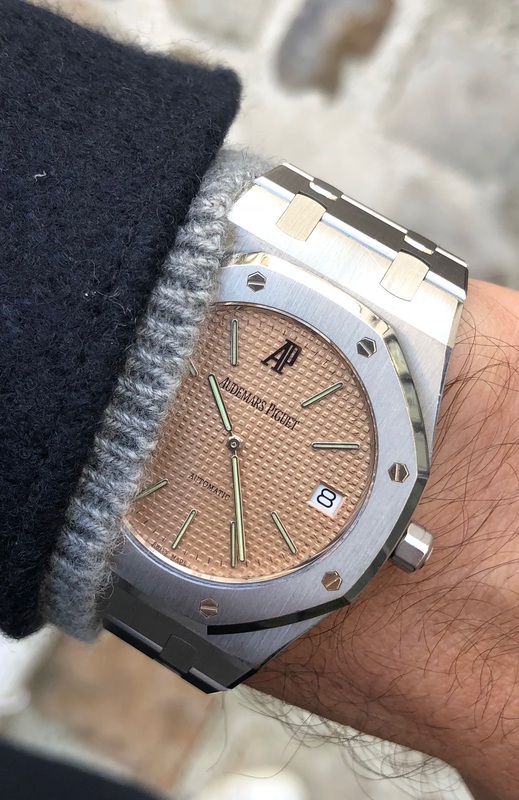 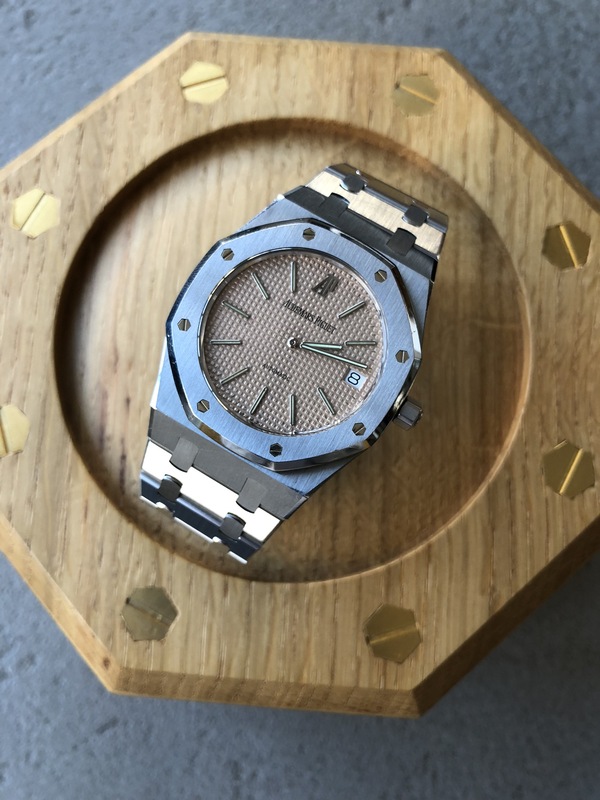 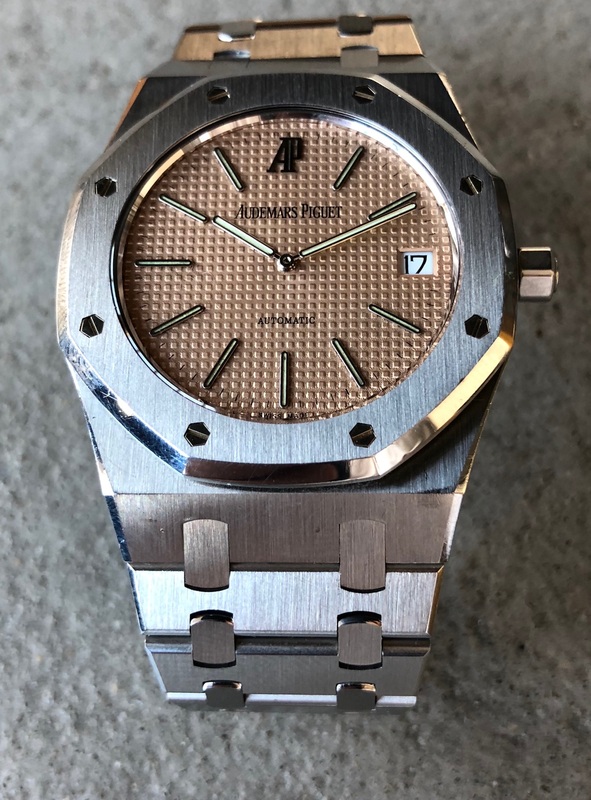 This is possibly and additional dial made by AP for their good clients looking to have the rare Salmon dial on top of their anthracite version. 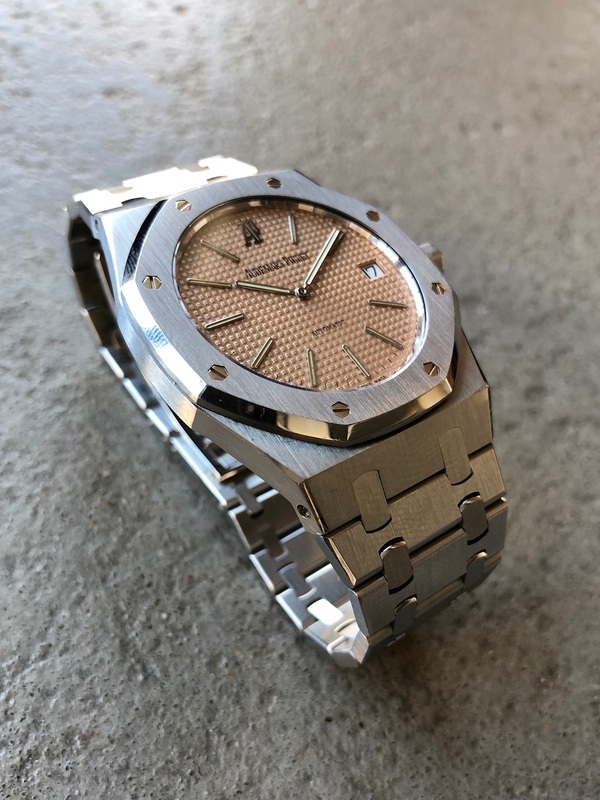 Case: stainless steel in almost new condition. 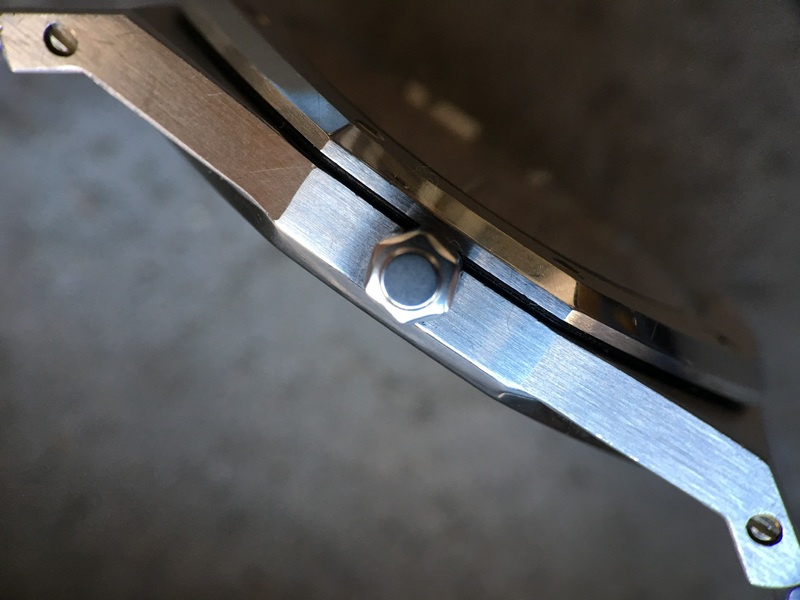 Extremely sharp lugs & thick case. 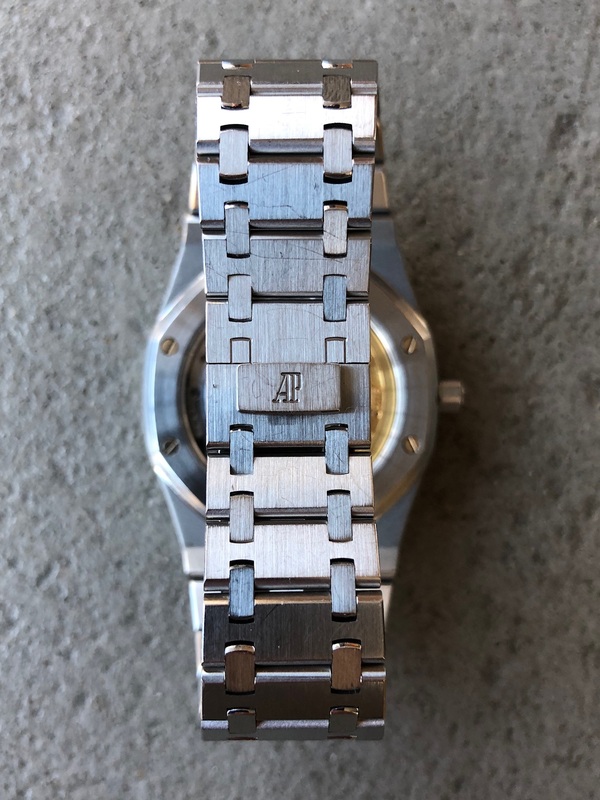 Bracelet: beautiful and sophistically constructed AP RO. 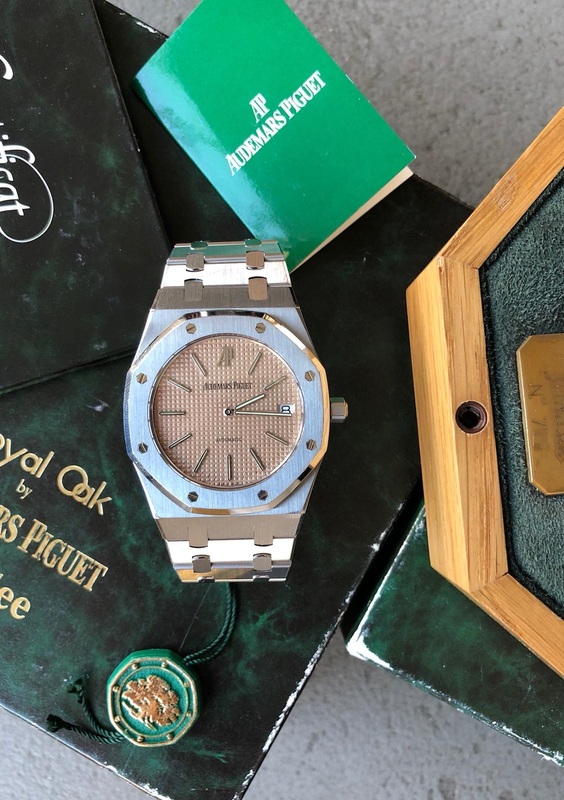 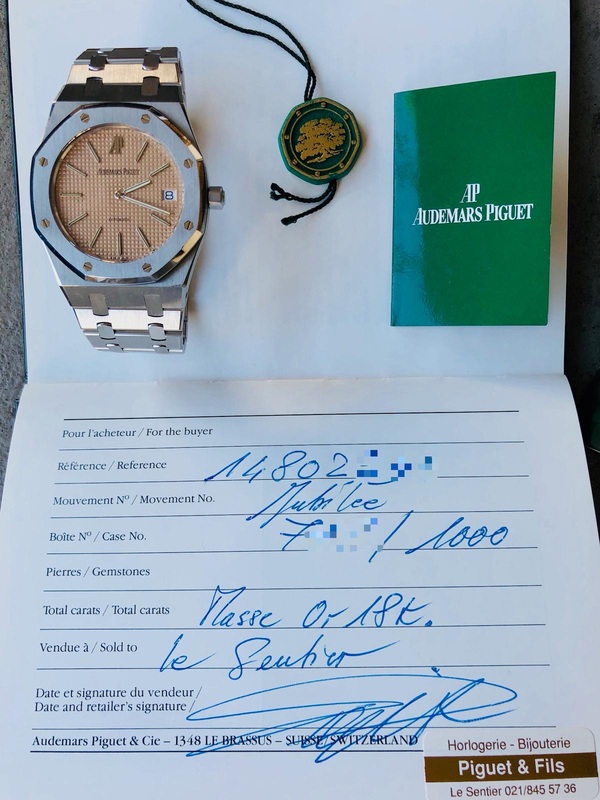 Box & papers: certificate of origin & guarantee, specific wooden box with the matching watch number, AP cover box.